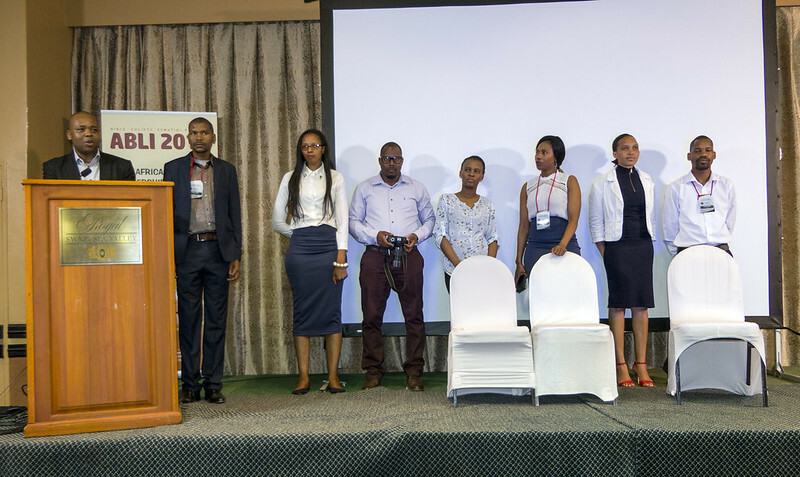 RESOLUTIONS FROM THE 8th EDITION OF THE AFRICAN BIBLICAL LEADERSHIP INITIATIVE (ABLI) HELD IN ESWATINI FROM THE 25th OF SEPTEMBER TO THE 28th OF SEPTEMBER 2018. We, the gathered delegates of African Biblical Leadership Initiative (ABLI) Forum, appreciate the hospitality of the Bible Society of eSwatini and note with gratitude the presence and valuable contributions of His Majesty King Mswati III representative, Members of the Diplomatic Corps, Ministers of Religion, Chairperson of BFBS, Head of Global Mission Team, as well as that of the GMTs. We reaffirm our commitment to the Bible as the living word of God, and belief that it has a critical role to play in our public and private life. We call on African Christians and leaders in general to cherish and develop African culture. In the meantime, we recommend that culture values need to need to serve as a vehicle to the Bible mission, not vice versa. As leaders across the spectrum of cultural and professional backgrounds, we recognise that our leadership role is ministry to sovereign God and a tool of service delivery to the society. We express concerns that our youth are in the crossroad of globalisation and tradition. We urge the African churches, Christian organisation and governments to guide the youth so they become global citizens without undoing their cultural identity. We recognise that the place and role of the youth is one of the most pressing issues in our continent. We urge that their energy is harnessed and deployed in such a way that it builds, rather than burns the continent. The Forum has highlighted that African culture has a tendency of reducing women’s role to domestic activity and denying their involvement in public leadership and decision-making. Therefore, we implore that women’s wisdom is harnessed and their unique contributions to different layers of the society are recognised. Africa is a culture in which elders use the divine horizon as a source of their judgement. We call upon government operatives to refrain from infiltrating eldership as elders are peacebuilders and a source of social tranquillity. Our conversations during the course of the Forum has highlighted that the church is plagued with corruption as much as any other institutions. We beseech the church to maintain being a prophetic voice and moral compass of the society. We are all eager to see change and transformation in our society and culture. However, change only happens in Africa when we are committed to change ourselves as individuals, families, communities, churches and nations. Instead of expecting change to trickle down from elsewhere, we commend that we act like change agents as individuals, family, churches and community. In Ethiopia, ABLI has brought together the churches that previously see them as enemies around the common purpose: the Bible and engaging public discourse. There is a thriving mentorship programme for aspiring young leaders. Some of them have already joined local government as volunteers, and more are needed. In Ghana, ABLI is spreading to provinces and creating excitement in schools. During the year-long planning process the Kingdom of eSwatini was significantly impacted ABLI through the media and small-scale leadership and advocacy training. Going forward, we have a great confidence on the Bible Society of eSwatini that they use ABLI as an important tool for Bible mission. In this vein, we the delegates commit ourselves to be the ambassadors of ABLI and the value it stands for. In all these, we appeal to African churches to stand in solidarity rather than standing against one another, and be the light and the salt of the world. May God bless ABLI, and may God bless Africa!